If you never got a chance to read the official 9/11 Commission Report, this week you'll have a chance to read it from a whole new viewpoint. Illustrators Sid Jacobson and Ernie Colon have published a graphical adaptation of the 9/11 Report . Slate is publishing a chapter a day on their web site, and from what I've read so far, the results are at once gripping, heartbreaking, and impressive. Graphic novels are rapidly gaining in popularity in the US. 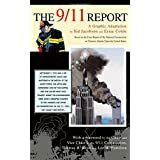 The 9/11 Report: A Graphic Adaptation , with the support from the original 9/11 commission members, will likely turn a lot of heads and bring more awareness to the power and effectiveness of this medium.